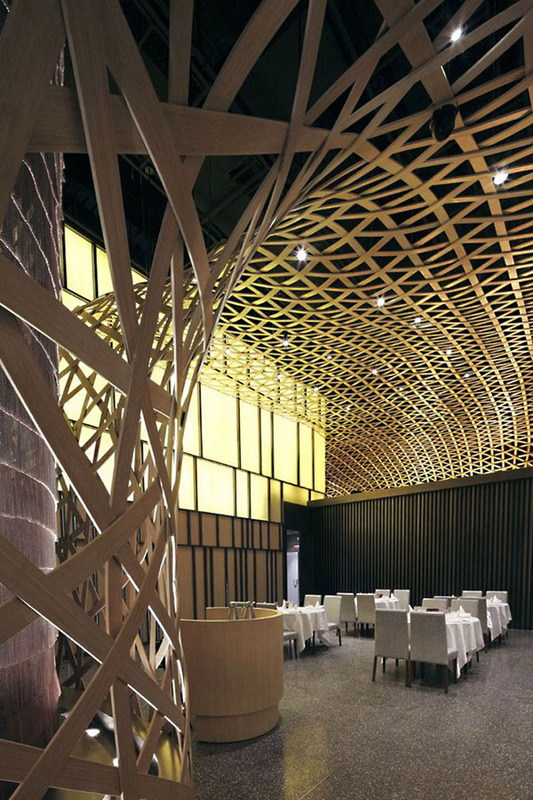 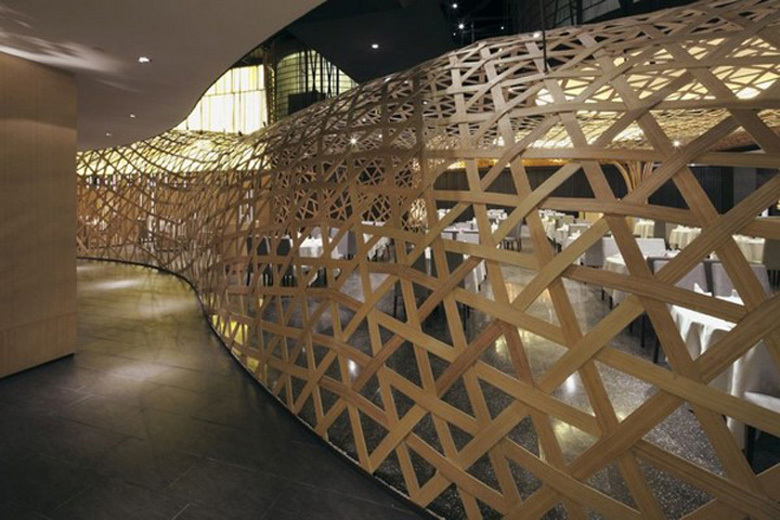 Beijing-based design firm FCJC used a limited pallet of bamboo to transform an ordinary space into a stunning contemporary restaurant. 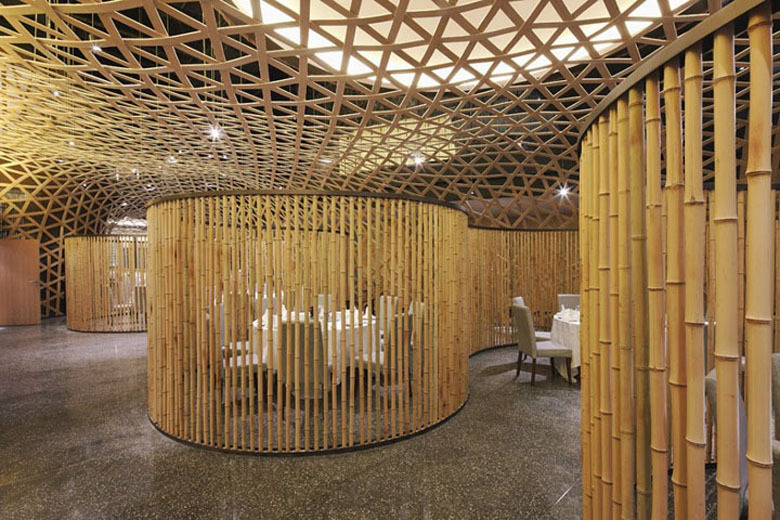 The interior of the Tang Palace is enclosed by a flowing grid of bamboo strands that bring the 9 meter-tall room down to human scale and conceal the private dining rooms hung above. 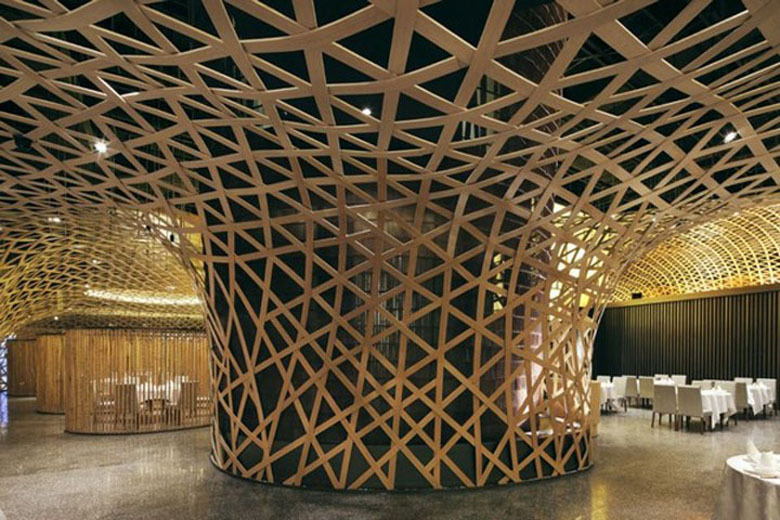 Structural elements like concrete column and block walls are made light by the parametric lattice, which was gently sourced and fastidiously erected.Located in Hangzhou, China, the restaurant offers a mixture of open seating and private rooms connected by an undulating bamboo screen that envelops the space. 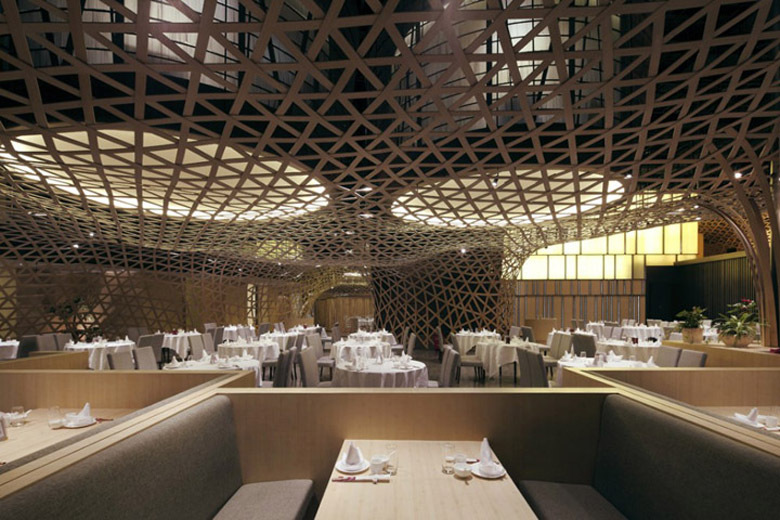 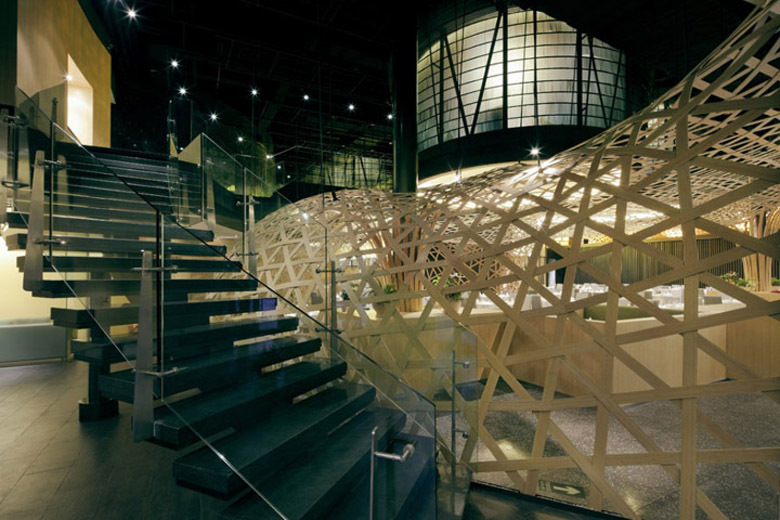 Each area takes on a slightly different characteristic, providing an organic quality to the interior.